Washington (CNN) When Hope Hicks is entrenched in the Oval Office battling the communications crisis of the day, Mercedes Schlapp steps up to the plate. Just as the first six weeks of the year have brought a breakneck pace of controversy — from the allegations leveled in the salacious “Fire and Fury” book to President Donald Trump’s comments about “shithole” countries, two government shutdowns and reports that Trump once sought to fire the special counsel — Schlapp has found herself pinch hitting more often for the White House communications director. The senior adviser for strategic communications has maintained a low profile since joining the White House in September but is quietly gaining influence by providing a steadying and experienced hand inside a frenetic White House. Schlapp has increasingly stepped in to lead the communications staff when crisis engulfs the West Wing and Trump demands Hicks be by his side, or at least within earshot, often acting as a de facto communications director in Hicks’ absence, three White House officials said. Beyond long-term planning, three White House officials said Schlapp has increasingly helmed day-to-day tasks in the communications department and become a go-to for officials outside the communications department looking for messaging guidance. She has also become a more visible presence outside the White House, appearing on television more frequently — including on Spanish-language networks because she is of Cuban decent — than in her first months at the White House. 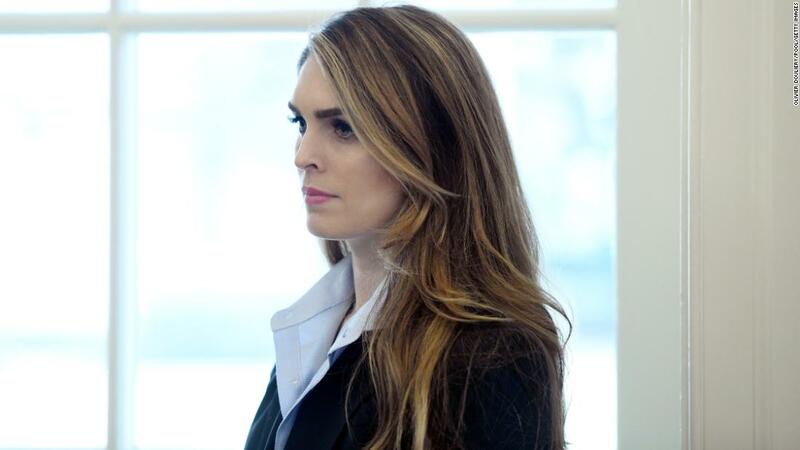 Communications staffers have complained that in moments of crisis, they have gone days on end without receiving any guidance on their tasks from Hicks, two White House officials said. Hicks has also been increasingly absent from the daily morning communications meeting, leaving Schlapp to lead the sessions. “The issue here is that (Hope) will assert herself as the communications director but then when the White House goes into crisis mode … she retreats — she just pulls back from the team,” a second White House official said. Hicks has also had to spend time communicating with her lawyer as the special counsel’s investigation has homed in on her role beside the President in crafting the misleading response to news of the Trump Tower meeting between the President’s eldest son and a Russian lawyer. It’s left her distracted from her White House tasks for hours on end, two White House officials said. Stephen Miller, the senior policy adviser and chief speechwriter, emphasized that point in a statement provided by the White House. But a source familiar with Hicks’ thinking did not push back on the notion that Schlapp has stepped in to lead the team when Hicks finds herself dealing with rapid response. “When Hope’s attention is with the President, Mercy is helpful (in) managing the team,” the source said. Schlapp most recently stepped in on Friday, as the West Wing entered its third day of tumult stemming from the allegations of domestic abuse against a senior aide, Rob Porter, his resignation and the chief of staff’s handling of the matter. 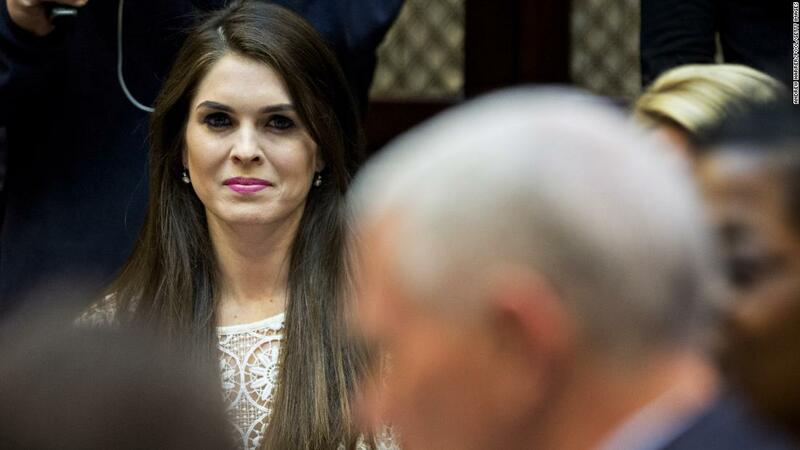 Huddling with members of the communications team on Friday, Schlapp advised the staffers to come to her with their questions and their needs of the day while Hicks — who was romantically linked to Porter — was embroiled in the controversy, three White House officials said. This time, Schlapp found herself managing the communications team and lending a hand to the crisis communications effort. 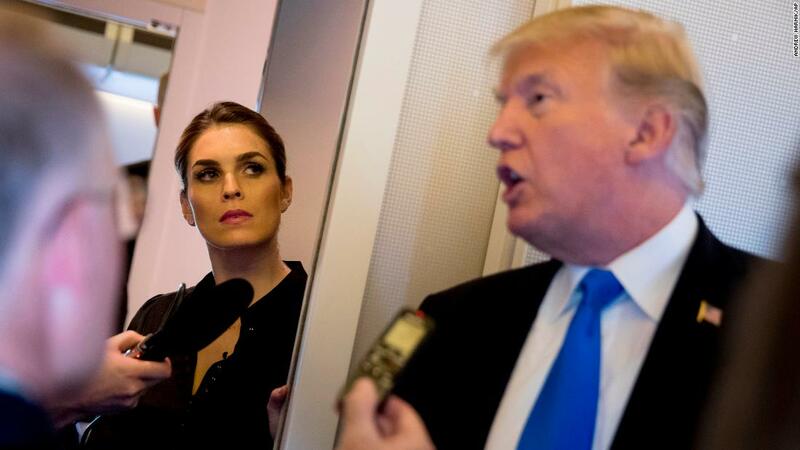 A White House spokesman insisted Hicks continues to lead the communications team and noted that Hicks led the morning communications meeting on Friday to discuss the rollout of the White House’s infrastructure and budget proposals, even as the Porter controversy stewed. Several White House officials chalked up the conflicting perceptions of Schlapp’s role to the unorthodox setup of the communications department and ambiguity over both Schlapp’s and Hicks’ role. Some said Schlapp has simply grown into a role that was always prescribed for her. 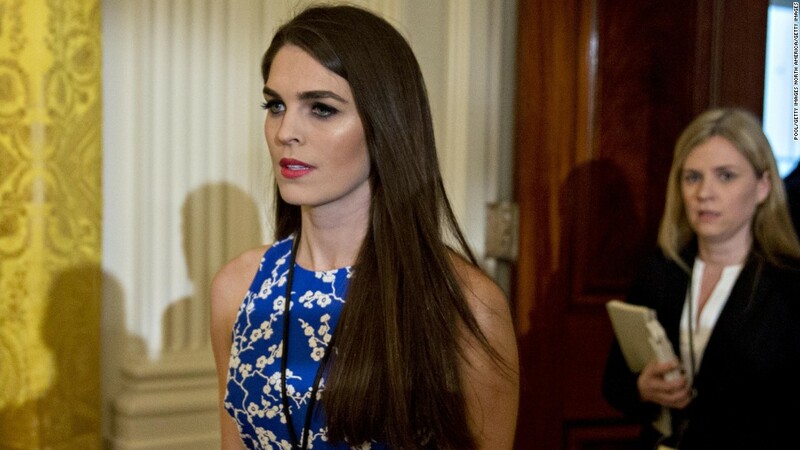 Hicks, at just 28, found herself thrust into the communications director role by virtue of her relationship with the President and only after the stunning flame-out of Anthony Scaramucci, who served in the post for 11 days. She has not sought to fit the mold of a traditional White House communications director, channeling Trump’s views into White House messaging rather than seeking to craft a communications strategy of her own. Schlapp, meanwhile, is a seasoned Republican communications strategist and one of the few West Wing officials to have previously worked in the White House, having served in the communications department of President George W. Bush. She is often viewed as the “adult in the room,” one White House official said, and her experience has been welcomed in a White House where strategic communications planning has often taken a backseat to the whims of a President who relishes controversy and often stokes it. Her experience is rooted not just in her time on the Bush campaign and in the White House, but in her time at the helm of a Republican government and public affairs firm, Cove Strategies, which she co-founded with her husband, former Bush White House political director Matt Schlapp. She also worked as a commentator at Fox News. Ultimately, it’s Trump’s view of himself as the White House’s chief communications strategist that has forced the White House press and communications departments into an unconventional structure. “Typically, the press secretary is most on the front lines of crises. Not just answering them in the briefings, but also leading the charge with the team on how to respond,” said Jen Psaki, the last White House communications director under President Barack Obama. But when crisis strikes in the Trump White House — as it often does — Trump demands that Hicks, his communications director and longest-serving aide, be in the room.